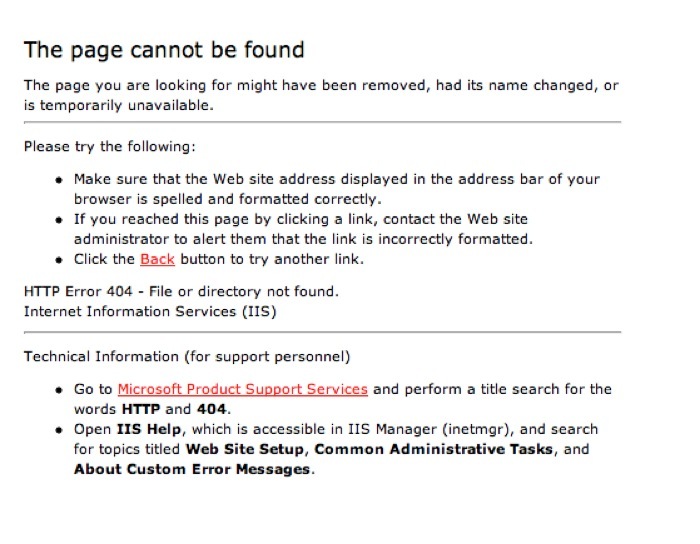 404 – Not Found, is the code given for a page that is missing when you click on a link. 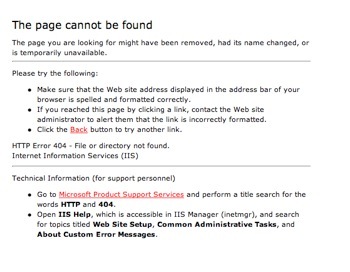 404 pages are a generic page configured on the Apache or Microsoft web server unless a customized, helpful 404 page is created. If you wish to see what type of 404 page is on your website, change yourdomain to your actual domain name: http:://yourdomain.com/see404 . 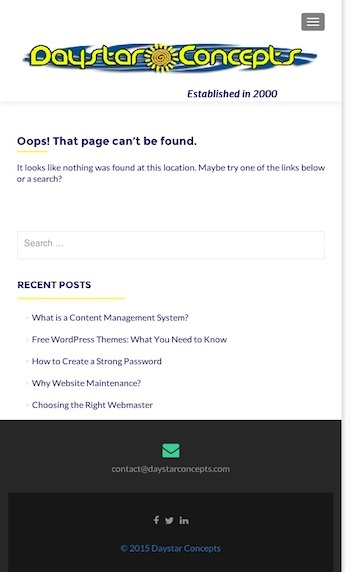 If you do not have a custom 404 page, contact us! Which do you want your visitors to see?